Origins Recovery Centers of Texas and Hannah’s House by Origins Recovery co-host a yearly gathering. 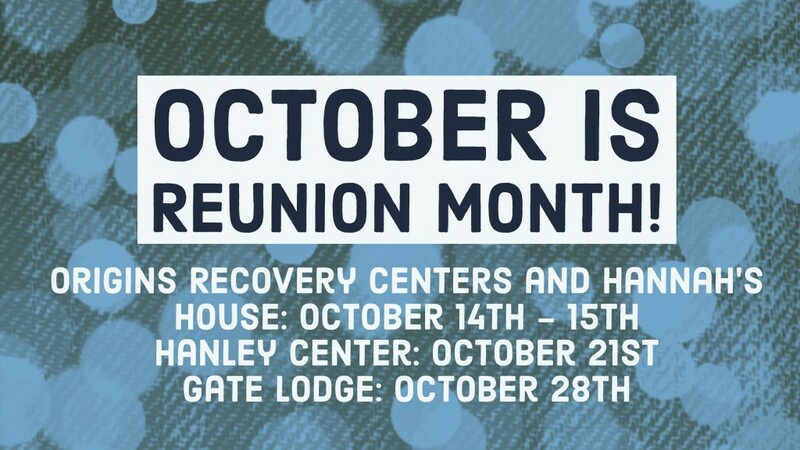 When: Every third Thursday of the month at 7:00 p.m.
What: Monthly opportunity to recognize and celebrate recovery anniversaries with friends, family, staff and peers. 2017 Alumni Reunions Save the Date! Click Here for schedules and more information.